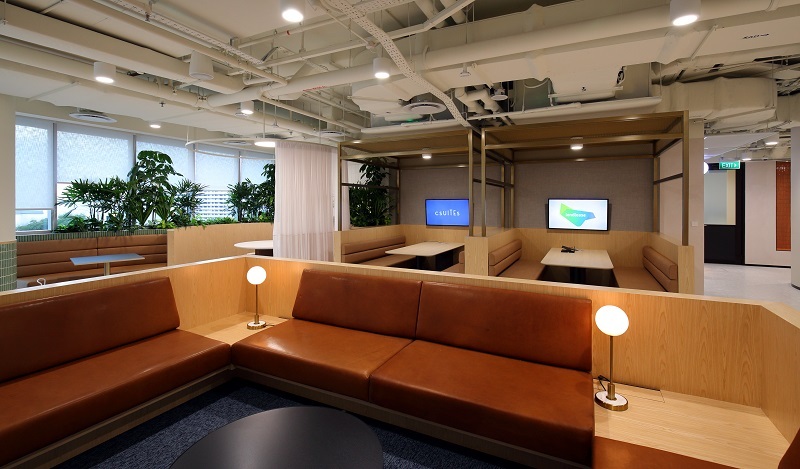 Lendlease, the developer behind the 4ha Paya Lebar Quarter (PLQ), is entering the competitive co-working fray in Singapore with its own flexible workspace brand called csuites. The 72,000 sq ft workspace is located in one of its three Grade-A office towers in PLQ. “Csuites has been conceptualised to support the needs of growing enterprises with employee teams of between 50 and 150 people,” says Tony Lombardo, CEO of Lendlease Asia. The workspace solution caters to small- and medium-sized enterprises, enabling shorter leases, immediate move-ins, as well as security and sustainability credentials. This new co-working brand by Lendlease is being trialled at PLQ, “but on the basis we see success here and get it fully leased, we would want to do more of these flexible workspaces”, says Lombardo. The flexible workspace will occupy 72,000 sq ft across the fourth and fifth floors in the office tower PLQ3, which also houses conventional office space for tenants such as transport operator SMRT, property consultancy CBRE, and insurance company Great Eastern. All three companies are expected to take up their respective spaces by end-July. The entire PLQ integrated development boasts more than one million sq ft of office space, and more than 70% has already been leased, says Richard Paine, managing director of PLQ.